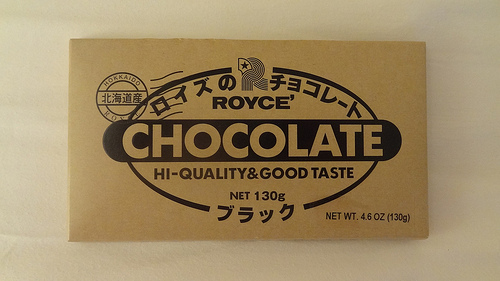 Posted on November 26, 2013, in Food and tagged チョコレート, ブラック, ロイズ, chocolate, cocoa, cocoa content, dark, dark chocolate, Food, Japan, japanese, royce, semi-sweet, sugar, sweet, Sweets. Bookmark the permalink. Leave a comment.